Facebook has confirmed it is focusing resources on the potentially highly profitable location-sharing market with its acquisition of Gowalla, a location check-in service for restaurants, cinemas and cafes the world over. The exact financials of the purchase remain undisclosed, but the company has announced it will wind down in January. Josh Williams, co-founder of the Texas based start-up confirmed the purchase in a blog post on yesterday evening. "About two months ago, my co-founder Scott and I attended F8. We were blown away by Facebook’s new developments. A few weeks later Facebook called, and it became clear that the way for our team to have the biggest impact was to work together. 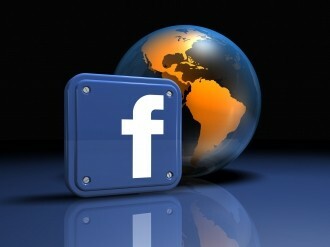 So we’re excited to announce that we’ll be making the journey to California to join Facebook!" Williams went on to confirm that Facebook has not bought the rights to existing users' data, and that the company plans to offer an option for users to export their data and pictures before Gowalla closes in the new year. He also took the opportunity to thank users, "we’re so very grateful for the support of our community, our investors, our families, and, of course, the City of Austin as well. You’ve all played a special role in seeing us to this day." Williams and fellow co-founder Scott Raymond as well as other senior members of the team will be re-locating to Facebook in Palo Alto, Ca. in January as part of the acquisition. Foursquare is currently the fastest growing handset based location-sharing providers, boasting around 10 million users as of July. The merging of the talent pool from Gowalla into Facebook will certainly represent an enormous challenge to rivals, though. The move comes as the social networking mammoth expands its services ahead of its proposed public offering while also competing against Google+. In separate news, Facebook's chief operating officer, Sheryl Sandberg also announced at a press conference in New York yesterday that the company plans to open a new software engineering center in 2012, marking the first time the giant has created a software base outside of the West Coast. New York currently has a advertising team in the city. The new software engineering center is set to create thousands of jobs.